Inntopia Commerce is a dynamic e-commerce platform that helps you sell your products - hotel rooms, lift tickets, tee times, equipment rentals, and many more - through your own website or through resellers. 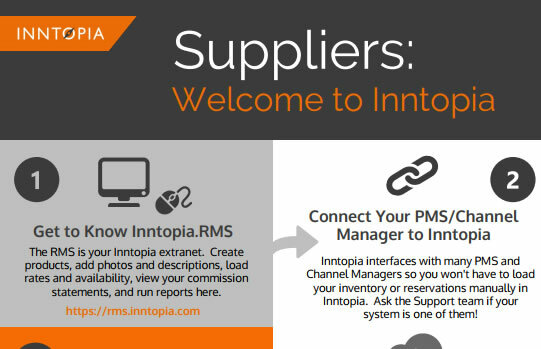 Using our intuitive RMS supplier extranet, we make it easy for you to build products, manage inventory, and create promotions. Ready to get started? Watch this short video to learn more about how you can use Inntopia Commerce to sell your products. Review the Quick Start Guide for information and resources. 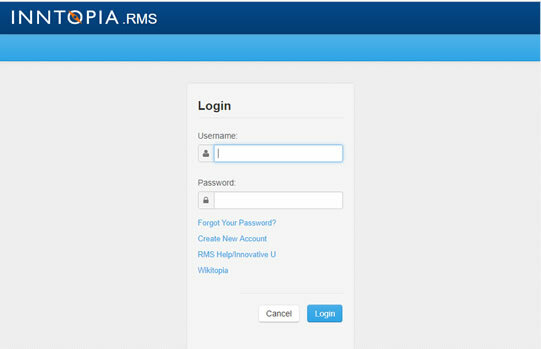 Go to the RMS supplier extranet to create a new account or log in. 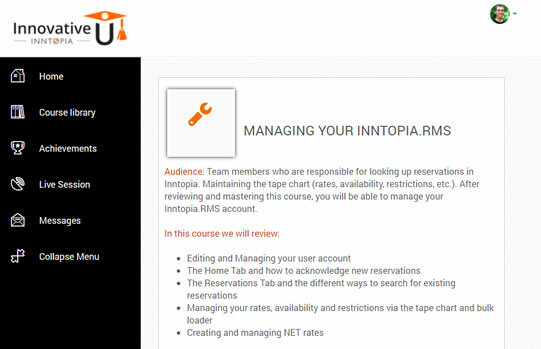 View free training through our eLearning portal, Innovative U. Once you are up and running, you’ll want to visit our Partner Dashboard. From there, you’ll have access to tips, articles, documentation and more.